By Craig | February 28, 2019 | This post may contain affiliate links, which means we may receive a small commission, at no cost to you, if you make a purchase through a link. Read our Disclosure. 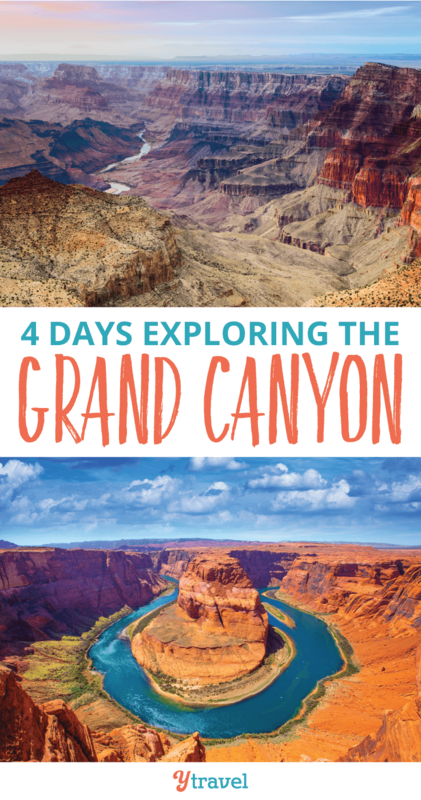 Our four day Grand Canyon Vacation was one of many mini-vacations all rolled into one during our three month road trip across the USA. I have wanted to visit the Grand Canyon for as long as I can remember, and it was one of 3 spectacular canyons we visited on our USA road trip. Like most kids growing up at my age, I was a fan of the Brady Bunch TV show and still clearly remember the episode of their Grand Canyon vacation, and it’s one of my earliest memories of being inspired to go visit. The Grand Canyon is a steep-sided canyon carved by the Colorado River and its tributaries which cut their channels through layer after layer of rock while the Colorado Plateau was uplifted. 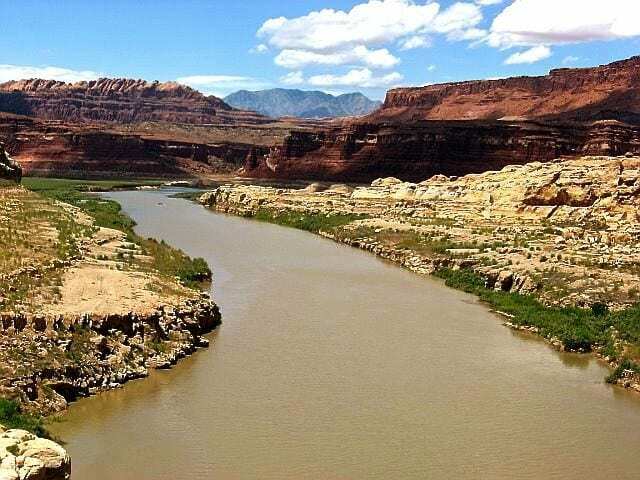 Recent evidence suggests the Colorado River established its course through the canyon at least 17 million years ago. Our road trip had followed the Colorado River down from her beginnings in the Rocky Mountains and we saw how she grew and widened, her twists and turns carving her magic and forming her overwhelming size. 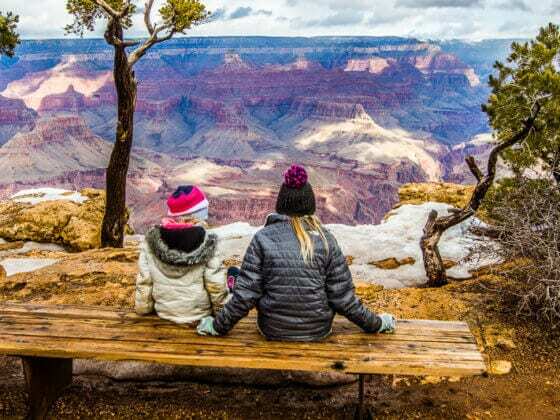 Not wanting to be one of the 5 million tourists that visit the Grand Canyon each year and stay for just 15 minutes to get their “I was here photo”, we set aside four days to explore and take in one of the seven natural wonders of the world. We decided to split our time in half and spend two days on the North Rim and two days on the South Rim. 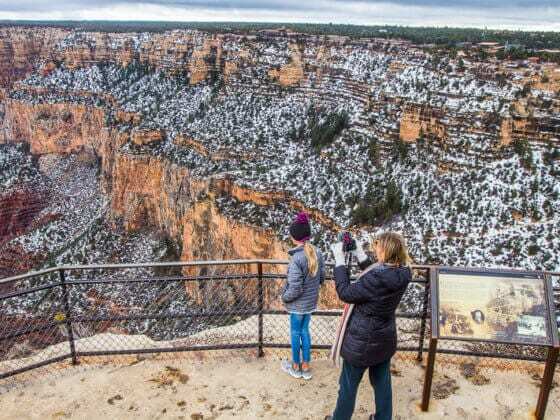 From what we were told, the North Rim doesn’t get near the amount of visitors that the South Rim does, which we found to be true, so we wanted take advantage of that. 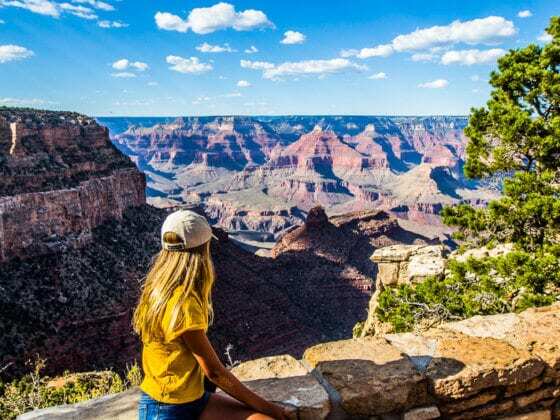 We also wanted to experience the Grand Canyon from as many viewpoints as possible to see it’s beauty, to see the different shades of light, and to go on as many hikes as possible. Whilst seeing the Grand Canyon from the top of the rim is breathtaking, the real experience comes from hiking down into the canyon and feeling it’s power and beauty all around you. As you walk down through the different layers you get to witness the changing colors and landscape right in front of you. It’s truly awe inspiring. We first arrived at the North Rim and saw our first sunset which was spectacular. The canyons overwhelming size and the changing colors with the light is an unforgettable experience. Our lodging of choice was to camp at the North Rim campground within the park. We love camping and the facilities were more than adequate. Besides camping, the Grand Canyon Lodge is the only other lodging inside the national park on the North Rim. As well as camping, lodging is also booked well in advance so try to plan ahead as early as possible. Our first morning we were up at the crack of dawn to begin our 9 mile hike down into the Grand Canyon. It was easy going down and we passed through all the layers starting with the alpine forests down through the red rock, limestone, and sandstone. The fact that it was early and that it was the North Rim there were very few people on the trail, making it even more enjoyable. We stopped at rising springs which is the water supply for the North and South rims and then we began the climb back out. It was an awesome hike, albeit strenuous on the way out. It wasn’t too bad until the last hour when it got steeper and the heat of the sun started to take its toll. But it was great to experience the quiet stillness and grandeur of the inner canyon. I highly recommend you experience the wild and remote feeling of the North Rim. Solitude can be found hiking the trails whilst enjoying the awe-inspiring views. For those less physically fit consider a mule trip, which are offered from mid May to mid October. North Rim mule trips do not go to the river. Half day inner canyon trips are usually available on a daily basis. We had a beautiful lunch in the restaurant right on the North Rim which has amazing uninterrupted views over the canyon. Our meal of choice was a delicious salmon burger washed down with a few cold beers. We then took a drive to various viewpoints with a glimpse of the Colorado river along the way. Next up we did the long drive to the South Rim. It’s only 10 miles as the raven flies but 210 miles by road. When we arrived at our first viewpoint our views were obstructed by a haze which we later discovered was due to the southern California fires going on at the time. The weather and pollution from down there impacts the Grand Canyon a lot and clouds it in a hazy fog. However it was an incredibly beautiful view and even more spectacular than the North Rim. We also had views of the Colorado River snaking through the canyon. We spent the afternoon walking along the South Rim. In the evening we took the shuttle to some other viewpoints and listened to a ranger talk about the formation of the canyon which was fascinating. At days end we watched to sunset over the canyon. It was stunning. A pink and red sky. And a perfect way to end the day. We hiked 12 miles down into the canyon. It wasn’t as hard as the North Rim hike as it was flat in a lot of areas and not as steep. Although it was much hotter as it was a lot more open than the North side with not as much shade which made it tiring and challenging. Once again we started our hike very early in the morning just as the sun was rising, casting a soft light over the canyon. We hiked down to Plateau Point where you get fantastic views of the inner gorge and the Colorado river. It was well worth the effort. On our return hike with the sun higher in the sky it got hotter and hotter. Some cramping started to set in, and it got quite exhausting. Luckily we were wearing hats and light clothing. We made our way back to the top of the rim just before lunch time. And we couldn’t believe the amount of people just starting their hike. Whatever you do, in the summer time make the effort to get up early and on the trail at sun up to beat the heat. Don’t make things any more challenging and dangerous than they need to be. We camped on both sides of the rim within the National Park. 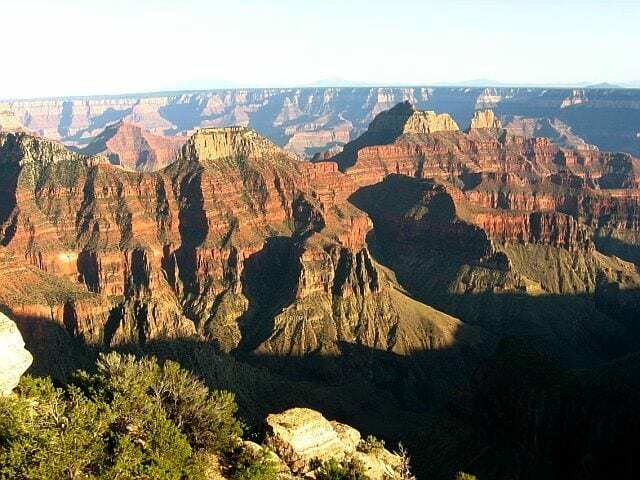 You can reserve a site for two of the campgrounds within Grand Canyon National Park, one on each rim. Both the South Rim Campground and the North Rim Campground fill up fast so the earlier you book the better. The Grand Canyon Village on the South Rim offers accommodation ranging from around $80 to over $$400. And the parks free shuttle buses operate on four routes connecting the lodges with restaurants, shops, visitor centers, scenic overlooks and trail heads. The North Rim Grand Canyon Village, open from mid-May through mid-October, offers similar options. Reservations can be made here. The Grand Canyon is in the northwest corner of Arizona, close to the borders of Utah and Nevada. The Grand Canyon National Park is a World Heritage Site and encompasses 1,218,375 acres. Scenery, climate and vegetation vary between north and south rims because of different elevations. Forests are found at higher elevations while the lower elevations are comprised of a series of desert basins. 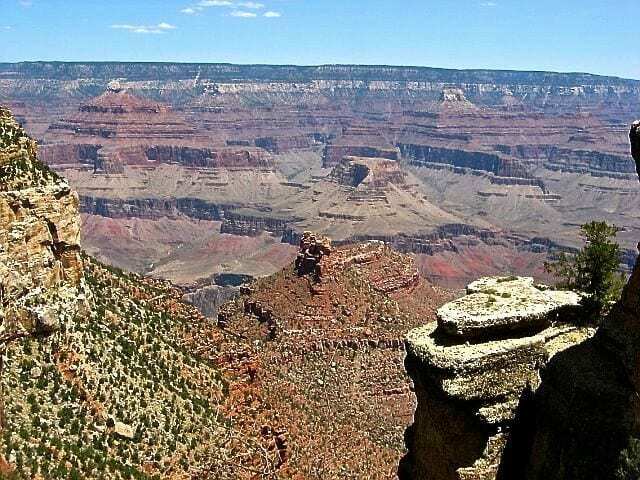 Grand Canyon National Park attracts about five million visitors per year. In the summer get up early. Start hiking to beat the heat. People have gotten disorientated and died from heat stroke. Wear appropriate clothing for the time of year, including hats and raincoats where necessary. Wear footwear that is comfortable and sturdy with good grip. Don’t hike alone. Know what your destination will be and how to get there. Know where water is available. Carry enough of your own water and food for energy. Choose an appropriate hike. Know your abilities. Know your limits. Stay on the trail and never shortcut switchbacks. For detailed directions see how do I get to the south rim? The North Rim of the park is more remote and is only open from mid-May through mid-October.There is no airport or rail service so the North Rim village may only be reached by road. (entrance station is 30 miles south of Jacob Lake on Highway 67). For detailed directions see how do I get to the North Rim? Booking.com has over 130 properties in the Grand Canyon area including hotels, motels, B&B’s and apartments. You get free cancellation on most rooms and a best price guarantee. 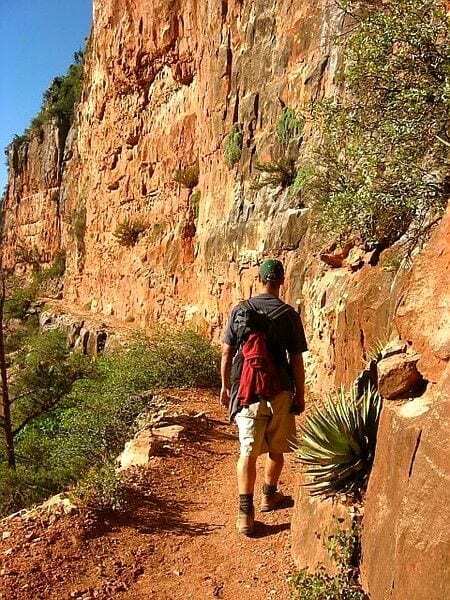 Check out the tours on offer for the Grand Canyon with Get Your Guide. Do you have any tips for a Grand Canyon vacation? Share in the comments. Every time I get a glimpse of the beautiful Grand Canyon, it always looks like a beautiful painting. It’s so gorgeous and awe inspiring through photo. I just hope to make it over there soon someday and see it for myself! We were just there the other day! As a matter of fact, we’re still nearby and planning on returning in a day or two. I am writing this from the park around Kaibab Lake, just north of Williams, AZ. We’ve already done a bit of the South Rim, and are going to hit the North Rim on our way out as well. Thanks for the tips! Jealous! I wish we were there right now. Have a fun time and enjoy the north rim, it is a much different experience. When we were in the GC back in August, all I could do was stare in awe. There is nothing quite like it and I’m not sure anything will ever compare. Great post! 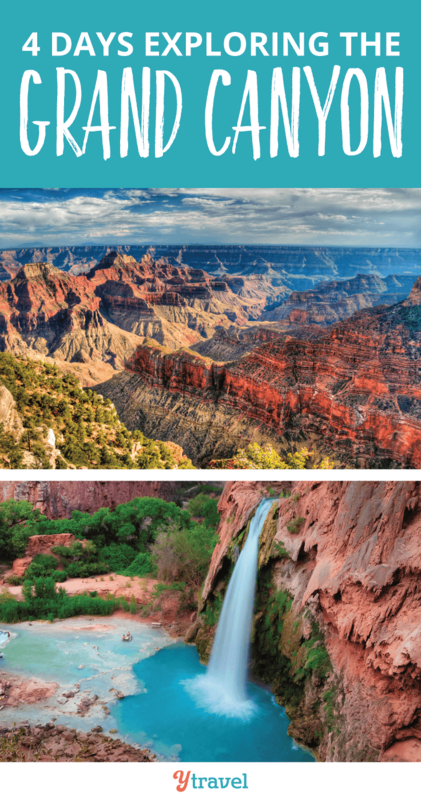 Four days at the Grand Canyon is impressive – most people don’t get nearly that long. I spent two days at the North Rim and definitely agree with the warning to not hike in the canyon during the hottest hours of the day. We hiked halfway down and it was rough coming back out. But I think I lost a lot of weight that weekend! We actually heard a statistic when we were there, that most people who die or get seriously ill and injured are young, fit, healthy males. They have this super power awareness about them and go charging into the canyon thinking they are unstoppable. Well nature certainly shows them who is boss. I remember watching two young men running down into the canyon with just a small bottle of water and I felt worried for what was going to happen to them when it came time to come back out. I was almost crawling out at the end of our South Rim hike, it was just so hot. And this was at a time when the majority of people were only starting to come in. Interesting read! I’d really love to visit Grand canyon. Lots and lots of places in the Sates are fascinating and this is certainly one of them. 4-days! I’ll keep that in mind.. Thanks for the through post! I think four days is really worth it, especially if you love hiking and exploring. We want to raft the river through it one day. 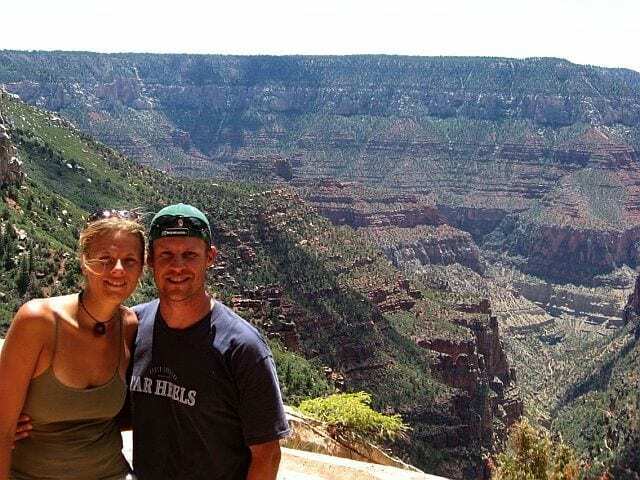 We visited the Grand Canyon a few years ago. Unfortunately we did it as a day trip from Vegas and didn’t get to spend anywhere near enough time there. It was better than nothing though! We hope to go back one day and explore more fully. We also love Bryce Canyon which we also visited from Vegas. Just spectacular! We did the same thing.. After visiting GC South Rim, we regretted our visit to Vegas and wished we had gone to GC instead.. At least for more days. We could’ve visited Vegas for 2 and GC for 4.. Oh, well.. At least we did experience the grandeur! I find it ridiculous that I have lived in the US for 29 years, and I have only seen the Grand Canyon for 15 minutes. I was in Arizona my senior year of college to watch The Ohio State University win the national college football championship. We decided to take a road trip, since we were only hours away. We got there just before sunset, had our 15 minutes of awe, and then drove several hours back home. Totally worth it for that 15 minutes, but I cannot wait to go and spend more time like you guys did. I think anyway you see it is going to be awe inspiring, but you will definitely appreciate it so much more when you spend time exploring it. There is so much more to it then what you see from the quick tourist angle. You will love it! These are awesome photos. I took a trip to the Grand Canyon, Bryce, and Zion last April with Tauck Tours. Trip was one of the best of my life! This is such a great post! We are just planning a trip to the Grand Canyon for next May. This is so helpful. Tentatively, we are planning just the South Rim, but the North Rim looks so beautiful too. My concern is that we’ll have our 2 young kids with us, so I’m not sure how far or how long we can hike with them. At least one will be too young for a mule trek, although that seems like a great way to get further into the canyon. We also will be there at least 4 days (we’re planning a week vacation, but at least 2 days will be driving there and back). It is a great start Carla. A lot of people don’t realize that travel does not have to involve long distance flights, it can start in your own backyard. Your country is so beautiful, there are so many great things to see. We would love to hike the canyon again with our children, but I also don’t know how possible it would be. You would have to start really early and go in the cooler months, otherwise I think it could just get too hot for them. It is really hard to choose between the North and South rim, both are equally as beautiful. I think there are easy hiking trails in the north and more shade. Plus it is quieter. It is a shame that it is such a big driving distance between the two as it really means you have to just choose one over the other. Have a great time, I am excited for you!! Great photos and awesome itinerary! You should submit to Conde Nast Traveler’s Arizona sweepstakes to win a 8 night stay – check it out! What a wonderful looking trip! It looks like you guys got to see a ton of beauty up close and personal on the various hikes you took. Did you ever consider taking a helicopter or airplane tour of the Canyon? Maybe next time, a helicopter tour would be right up your alley! I live in Arizona and have been to the Canyon a few times. I have not been to the North Rim yet mainly because it is a long drive. I would love to take a rafting trip to the Canyon. Oh definitely try to get to the North Rim, it is so beautiful there and is so different to the South. Amazing!! Just came back from Grand Canyon. Gorgeous in winter. Great recount of your experience & beautiful pics. Wondering if you would you take the kids there in the summer, and if so, what itinerary would you suggest? I noticed the temp on the North Rim is 10 degrees cooler in summer. We can only travel during late June, July, and early August because of school schedules with our 10 year old. Thanks! I recently made my way out there. I wish I would have read your guide before. Great work! Hey, we are planning a trip to GCNP in September and this is one of the best posts I’ve found. Thanks! This is a great post on really delving into a GC visit! 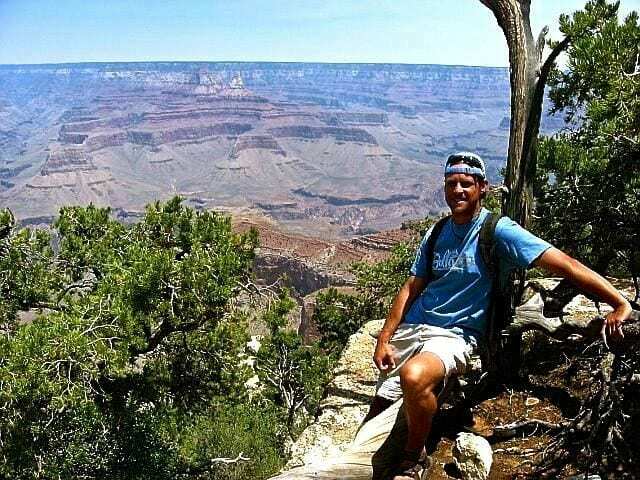 I was lucky enough to travel all 225 miles of the Colorado River through the Grand Canyon and it was one of the most inspiring trips of my life. It’s true that the silence and the grandeur of the canyon is found below the rim. Thanks for inspiring others to travel deeper! I will be heading out there in two weeks. Thanks for stating the obvious about the North being cooler than the south. It’s all about the way the sun hits the canyon. I have been there twice before but never noticed the difference. Will be hiking with my nephews so it may help them enjoy the hikes more in cooler temps. Going to the Grand Canyon in about 2 weeks.We are taking the “sissy” way out.Staying at El Tovar lodge.This was a gift from my husband.#1 on my bucket list for many years!! I am so excited!! Staying in Sedona for a few days first. I am going to the GC next month & can’t wait! Been wanting to go there for years. I’ll be staying at the north rim & am also staying 4 days. Will b hiking & doing a mule trip. Your blog provided great additional info & your pictures were wonderful, added to my excitement! Wow! Such a wonderful place to spent vacation with rafting adventure and other hiking activities. I read your post and love your first hike almost 9 mile down into the canyon. I am glad that you shared your Grand Canyon experience with us. I am going to the canyon in a few weeks and am excited to hike. Thank you for the read on your experience. I am planning on taking hikes similar to yours. Will I be okay to wear regular tennis shoes or do advise to purchase shoes for hiking? Awesome photos. Where you there in June? It’s crazy hot then. I went over 4th of July weekend. Big mistake. We are lying into Phoenix on Monday and driving to Sedona to spend one night with plans to drive on to south rim on Tuesday afternoon…. was hoping we could enjoy time there and still drive to North rim possibly friday and tour there through Saturday…. we leave out on sunday for home… do you feel this us realistic plan ? The Grand Canyon is really amazon to see! If you haven’t seen it before I definitely recommend taking some time to go as it really is spectacular. I went white water rafting down the Colorado River a while back. This was a great experience, I know that the company I went with (crateinc.com) also has Grand Canyon rafting as well. If you get a chance I think it is a great opportunity to get up close and personal with nature as well as a great company to go with. Very nice pictures. We only stayed one day at the Grand Canyon, so we unfortunately had no time to make some hikes. But I definetly have to plan that on my next visit. Amazing trip! The Gran Canyon it is a wonder of the world! Wow looks like you did some great hikes! Beautiful pictures too. Never visited the Grand Canyon. Struggling with where to stay & what to do??? We only use our room to sleep, not spend the day indoor, looking for a rustic cabins, even seriously thinking of camping for the night. Wed like to see the North & South like you did, Definitely stay away form the large crowds, Don’t mid them for a short time, We are just looking to enjoy the Canyon not the commercials. We camped and thoroughly enjoyed it! I’m in the beginning stages of planning a trip to the GC this summer with my husband and three girls (12, 10 and 8.) We’re a pretty active family and I would love to experience both the north and south rims. I’d love to hike down but I fear, with a newly diagnosed respiratory condition, that I wouldn’t make it out! Is is possible to hike down and then take a mule ride back up? Also, which airport would you recommend flying into from Boston in order to visit both rims? We’ll have 7-10 days out there. Thanks so much! I really enjoyed reading about your experience! I just stumbled across your blog and I love it. We own a family run business at the South Rim of Grand Canyon renting bicycles and doing bike tours. Kids and adults both LOVE this activity, and of course we’re very passionate about spreading the word. If you ever come again we’d love to hook you up with bikes or a tour so you can try it out and review your experience. We’re sure you’ll love it!